Toyota is taking the green initiative beyond the basics to move sustainable industry to the next level. Toyota announced its environmental “to do” list, revealing how it plans to implement sustainability into every aspect of its business. 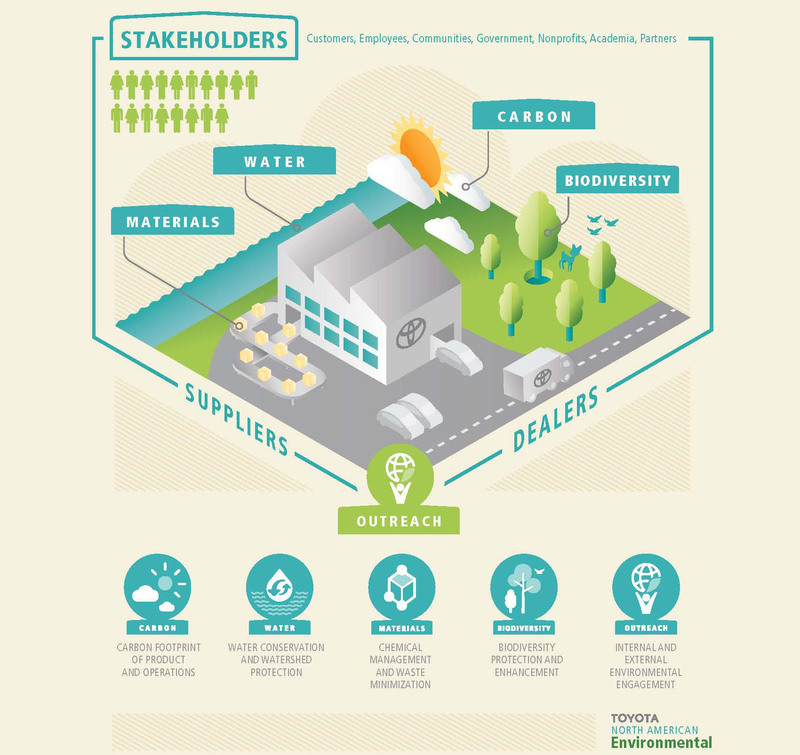 Toyota’s 2015 North American Environmental Report focuses on five priority issues – carbon, water, materials, biodiversity, and outreach. Toyota’s eco-friendly achievements include: launching the only zero-emission vehicle – the Mirai – with more than 300 miles of driving range; manufacturing vehicles using renewable energy from landfill gas; saving more than 54 million gallons of water by reducing, reusing and recycling, including utilizing rainwater collection; certifying over 1000 acres of land to Wildlife Habitat Councils Wildlife at Work program; and reusing hybrid batteries to create stationary energy systems. Toyota's North American environmental initiatives.